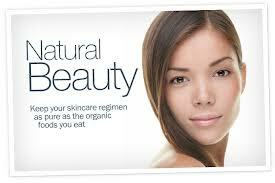 Do You Want Poison In Your System For Beauty or Natural Products? a Natural Line I carry on my website. As professionals, consumers trust you to provide fact based information regarding general and skin health, as well as assist in deciphering the plethora of information available in the anti-aging sector. Anti-aging can consist of esthetics, interventions, fitness, chakra balancing, spa treatments, diet, homeopathics, etc, etc. It is unique and individual to each of us. In the last week we have been asked quite a few times about injections, vs natural topical treatments to address the signs of aging. Most specifically; deep lines, wrinkles, sagging skin, dark spots; especially around the forehead, eyes, nasal and ear areas. In brief, most Rx, or prescription products are derived from nature, and some cosmetics have active ingredients derived from Rx. To provide a few examples; ephedrine to treat asthma and other bronchial conditions is derived from nature, a herb, ephedra sinica, Rogaine for hair loss, or hair thinning, a topical, was discovered as a side effect of Loniten and the active ingredient Minoxidil as people found hair growth as a side effect, similarly Latisse for lash growth, from Lumigan for the treatment of Glaucom using and active called a prostaglandin analogue. In the cosmetic industry, many Rx type injectables are used as “treatments” to affect the reduction of lines, wrinkles, and sagging skin. These injections are comprised of Botulinum toxin A, which prevents nerves from functioning normally, there are others derived of hyaluronic acid and NASHA a natural polymer, as well as others that simply use hyaluronic acid as a natural filler. Many peptide based products can be used as alternatives. So, in brief, the science between natural products being used in Rx treatments, and Rx actives used for cosmetic purposes is very grey and cross purpose. Often whether it be herbal, natural, Rx, OTC (Over The Counter), whatever you may choose, there is usually warnings and side effects; the severity or number vary depending on the active (to state very simply). Natural, as we discussed earlier is minimally processed, or closest to nature. Skin 2 Skin™ Care and other companies with this accolade choose to work with the bodies natural processes to address signs, symptoms, ailments and physical appearance, as well as health naturally. While comparative advertising is considered elementary, it is important that consumers are educated and free to make choices based on desire, side effect profile, efficacy, and very important is the safety. Ac-EEMQRR-NH(2) (coined Argireline) was identified as a result of a rational design programme. Noteworthy, skin topography analysis of an oil/water (O/W) emulsion containing 10% of the hexapeptide on healthy women volunteers reduced wrinkle depth up to 30% upon 30 days treatment. Analysis of the mechanism of action showed that Argireline significantly inhibited neurotransmitter release with a potency similar to that of BoNT A, although as expected, it displayed much lower efficacy than the neurotoxin.” ( Int J Cos. Sci). There is also SNAP 8, which results show at a 0.05% concentration “In clinical studies, the severity of wrinkles around the eyes decreased up to 63.13%. Both in vivo and in vitro efficacy testing suggests that SNAP-8 is approximately 30% more active than its parent peptide Argireline. “ So, there are alternatives, such as products that use peptides, and vitamins that are deemed “powerful or 21st century” that can work as effectively in the right combination and concentration without a comparative side effect profile. It really comes down to individual choice, education which is a human right, and the side effect vs. benefit profile. Whether it be pharma, OTC, HABA (health and beauty aid) or consumer brand, individuals will choose to ask their health service provider for the answers or seek their own research. Skin 2 Skin ™ Care has produced the Anti-Sagging Renewal Serum, containing 5% Tego-Pep 4-17, 15% Matrixyl 3000, and Un-wrinkle Forehead and Crows-Feet Cream with 20% Argireline, Snap 8 at 10%, and Dermaxyl at 2%. These are safe, 100% effective, natural, vegan, PETA certified, gluten, soy, and toxin free alternatives. With the simple snippits of information in quotations above there is just a sampling of the efficacy of these non prescription derived alternatives. Vitamins A, C and E are also of benefit to the mix, and source. For the reasons of this post we are comparing topical vs injectables since that was a topic several people have asked about in recent weeks. Next post we can clarify Vitamin C as questioned from the “rare Swiss apple” vs others, and the importance of anti-inflammatory agents both systemically and topically for good health. This intensive cream is formulated with three powerful peptides Argireline 20%, Snap 8 10%and Dermaxyl. The concentration and concentration of Argireline and Snap 8 calm the neurons that cause muscle contractions that lead to the deep wrinkles on the forehead, between the brows and crows-feet. Dermaxyl hydrates the skin and helps mature skin to function like younger skin. By using these powerful smart anti-aging peptides together you will see a 60% wrinkle reduction within 28 days and continued smoothing of the skin over time. Many of my clients love this cream. It really works to soften up those forehead and crowsfeet wrinkles instead of using Botox. It works on those lines on the upper lip also. Just massage it in twice per day, AM and PM. As it mentions above, it takes peptides 28 days to see a real difference. Each day the wrinkles will soften up. I have tested this on myself, so I know it works. I am surprised at the difference. Skin 2 Skin Care has a fabulous product Unwrinkle Forehead and Crowsfeet Cream. Many of you purchase it on a regular basis. I spoke with Ken Simpson the creator of the line and we discussed that it works well on those fine lines above the mouth as well as the forehead and Crowsfeet area. You need to massage it in that area. It really works. Remember it takes Peptides 28 days to work. They will soften the fine lines just as Botox does, but without the shots. I have clients that have told me their forehead wrinkles are gone thanks to this cream. I have been doing a test on myself. I have a new wrinkle on my left side, near my eyebrow, I developed when my cat was sick . I slept on my left side on a high stack of pillows. It made several lines. I massage in the Unwrinkle Forehead and Crowsfeet Cream AM and PM. It has made a difference. I can see my wrinkle getting smaller and softer.